Our New Full Service Facility in Laughlin is Complete! 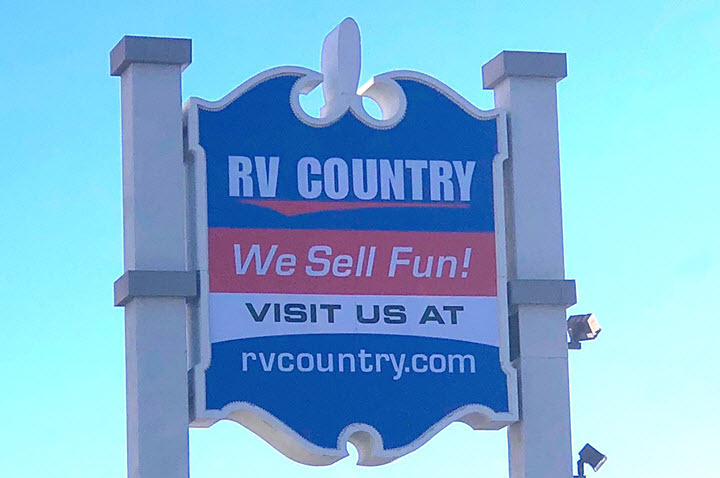 RV Country in Laughlin is open annually from October to March full time with the same great staff and inventory and ready to help you find the RV of your dreams! We are conveniently located caddy-corner to the Riverside Hotel and we carry the full line-up of motorhomes, fifth wheels, and trailers. We're just a hop, skip, and jump from the Colorado River and our Bullhead City, Arizona location too. If you're in Nevada, swing by and say HI! !